Waze is a great navigation application and even after Google has purchased it back in 2013 for 1.1 billion dollars, both Google Maps and Maze continued to function in parallel. We agree that Google Maps is an awesome application, but using the right tweaks on Waze you will be able to make the perfect navigation application for you, especially if you live in a city that’s a lot of traffic. Google has added some features that Waze came with and to make a difference between these two applications is getting harder and harder. When it comes to driving, Waze is better because it alerts you that are some incidents ahead or the police. The application is focusing on how to get to you to the destination faster by using alternative routes. One of the features that Waze comes with is the one that estimates the traffic jam ahead. If you live in a city where there is an infernal traffic, you will love the Waze application. The social feature that comes with is awesome and the rerouting makes sense in big cities with traffic problems. However, in order to make Waze shine, you will need to do some settings and today we’re going to tell you how you can do that. Waze will track your location information all the time, which means that it will eat a lot of battery. This means that it’s best to turn off the application while you are not using it. So, just tap on the Waze icon on the bottom left and, after that, select the power icon. As soon as you do this, Waze will enter “sleep mode” and it will not use the device’s battery anymore. 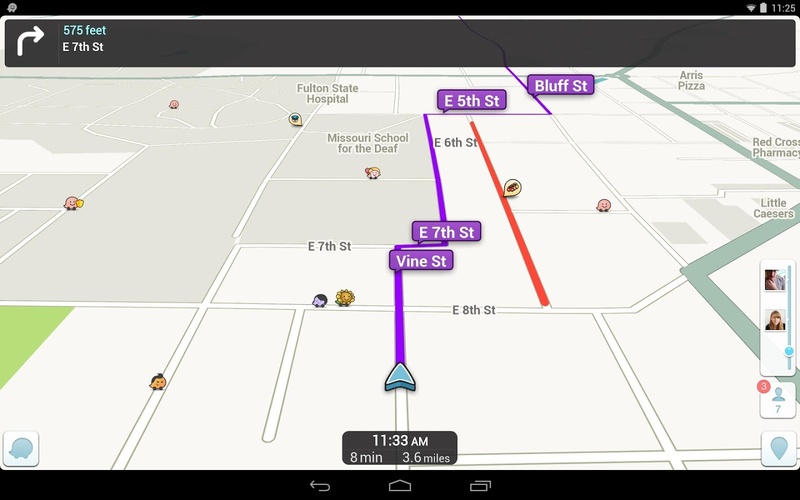 Aside from being a navigation application, Waze is also a social application. This means that people can report all kinds of accidents, police locations, traffic jams etc. This is awesome, but at the same time it is quite overwhelming to have all those little icons popping out on the map while driving. To make sure that the map stays clean, you can go to the application’s Settings->Display->Show on Map and uncheck anything that you don’t want to be bugged about. This way, your map will be clearer and it will be easier to see what’s going on. There are many people who complain that the Waze application picks some annoying back streets routes just to cut the driving time with only 30 seconds. Well, you can change how the application will pick alternative routes by going to the application’s Settings->Navigation->Routing Styles and select the “Shortest” option. By choosing this option, you will “force” Waze to find the shortest distance between A and B (instead of the fastest). Keep in mind that you will be able to check out other route option by tapping the routes button after you enter the destination address. Another awesome feature that Waze comes with is that you are able to see the gas stations and the price information. In addition, you will be able to set the gas preferences and make sure that you get the price for the right gas that your car is using. So, first, go to the applications’ Settings->Gas Station & Prices and make sure that you customize the way Waze will show the nearby gas stations. At the same time, you will be able to set the preferred fuel type, gas stations that you like and how the information is sorted (by brand, distance or price). It might look like a minor feature, but we assure that it’s very handy especially when you are in a foreign city. If you are using Waze daily and you live in a city that suffers from serious traffic congestion, then it means that it is quite hard to be in time for anything. This is one of the reasons you would love to have the “Send ETA” feature on. You will just need to tap on the time that’s located at the bottom of the screen and then on the “Send ETA” button. So, let’s say you go to the airport to pick up a friend that just came to visit and you’re getting late because of the traffic. Using the “Send ETA” feature, you will be able to share your location info and the estimated time of arrival to a friend of yours (keep in mind that (s)he will need to have the Waze application installed also, or this will not function). This way, the person who’s waiting for you will know your location and how much time it will pass until you will arrive. Did you use the Waze application on your device? Tell us your thoughts about it!